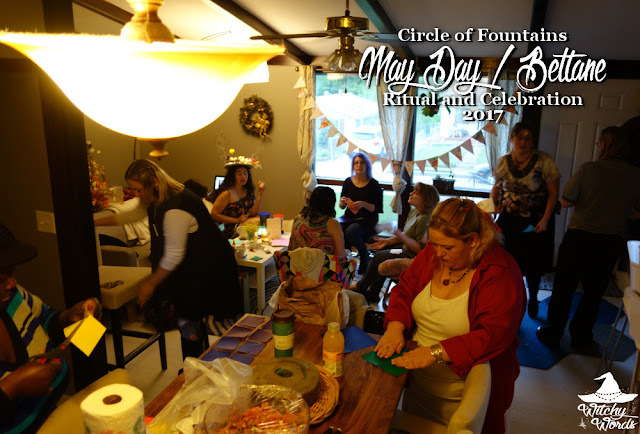 To see the Circle of Fountains 2016 May Day ritual, click here! 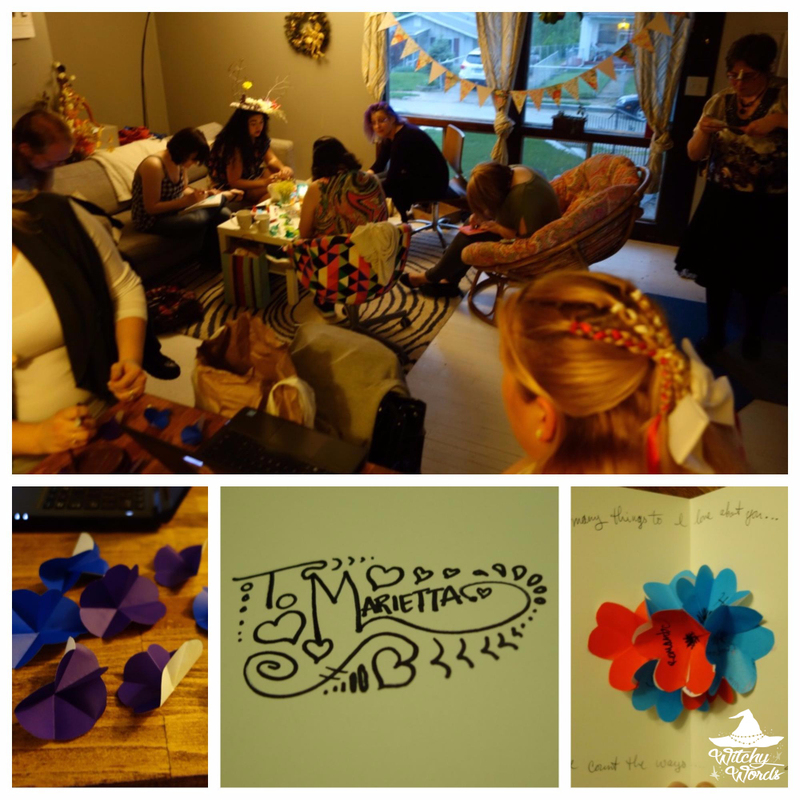 This year's equinox ritual was held by Kolika! Kolika identifies as Wiccan, and so her rituals tend to lean towards Wiccan themes, emphasizing self-love, fertility, beauty and the goddess. The best part about Circle of Fountains is that we have such a wide variety of belief systems in our members. The sabbats give us an opportunity to explore and celebrate those differences! Our celebrations began with a craft. Kolika instructed us on how to cut out seven flowers from scrapbook paper. On these seven flowers, we were asked to write seven things we liked about ourselves. We would then create a floral garden pop-up as a sort of love card to ourselves! Once completed, we all traveled outside with our cards. We danced in a circle to Kolika and Amy singing The Keeper. Kolika set up a tent because of the torrential rain we had been having for the past several weeks. In fact, the public ritual that was supposed to be held this same day was cancelled thanks to the rain. We called the quarters starting the east and moving to the north. Kolika then asked us to look into a mirror and gift ourselves our card in a loving way. Incorporating her familiar, Howl, Kolika then stated that we would be giving an offering to the fae in the form of treats that Howl would then take to them. The treats were flower shaped! How appropriate! As each person gave Howl a treat for the fairies, they asked to be blessed with something for the upcoming season. After giving Howl the gifts for the fairies, we danced to Shut Up and Dance. We then released the corners and headed back inside for our Beltane feast! 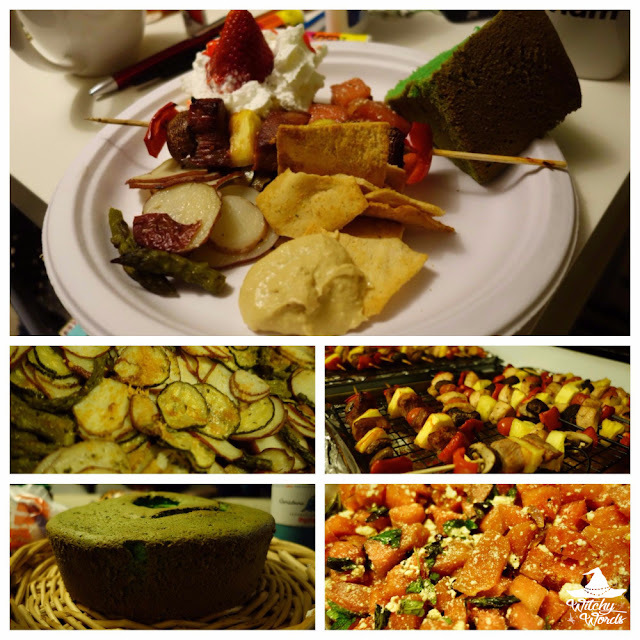 Our potluck this round was a barbecue theme, including roasted veggies, watermelon salad and kabobs. And that concludes our ritual and celebration! From Circle of Fountains to your family, we hope you have a fantastic May Day! To see the previous Circle of Fountains sabbat ritual, Spring Equinox, click here! Another fitting and thoughtful ritual! Happy belated Beltane! Thank you so much, Liz! You as well!